“All my bags are packed and I am ready to go”, but was John Denver really ready? When planning for that trip you have been yearning to go on for so long, one vital entity often goes missing. It is one such entity which could potentially turn your blissful vacation into a semi nightmare experience. This vital entity is travel insurance. One spends months deciding on which package holidays would suit them best; locations to visit, hotels to put up in and comfortable means of conveyance in order to put together a memorable experience. Hence, it is only fair that you select a travel insurance that takes into account every possible obstacle that you could face. The insurance policy should cover the price of surgery and/or any other medical treatment you might require whilst you are away. A million pounds is a good cover if travel is restricted to Europe whereas 2 million pounds should do if the trip is to somewhere like the United States. This would cover the cost of your luggage in case of damage, loss or theft. If the airline itself is responsible for the loss, then a written report of the same would be required from them. This would reimburse extra accommodation and travel expenses incurred if you happen to miss your flight, train or ship, owing to situations you cannot control (accident or vehicle breakdown). However, the valid circumstances for availing the cover would depend on the policy purchased. In case of a car breakdown, you would have to provide a report from the car company validating the same. Provides cover for the loss of money or damage to it, the part of which is held in the form of cash. So make sure the travel insurance you purchase provides you the right cash cover. In case an emergency arises (medical emergency), costs for returning back to the UK will be provided. If it so happens that you are embroiled in a situation where you are responsible for damage to property or accidental bodily harm of a person, this will cover the charges of damage. However, the people affected cannot be a part of your family. This will cover charges of accommodation and travel which is required to issue and obtain another passport. Receipts of the same would be needed. This covers losses such as damaged baggage and medical costs if faced with any instances of terrorism. The exact coverage and articles eligible for it would depend on the policy. 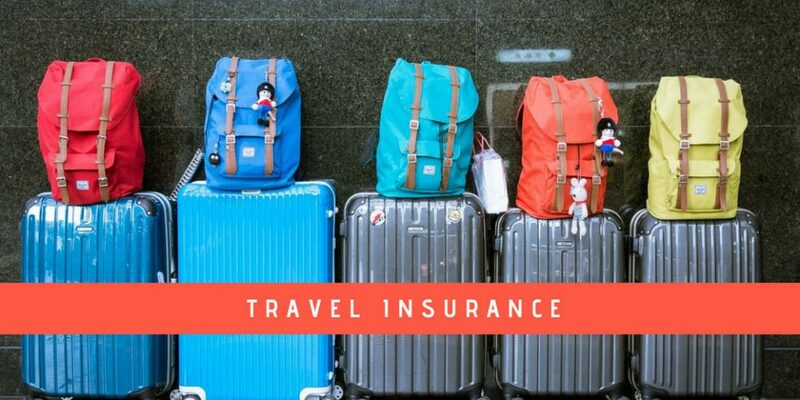 Whilst choosing any travel insurance policy, the exact coverage amount, provided conditions for availing it and any receipts that might be required, should be paid attention to. So pull out all the stops and ensure that nothing could hamper the beautiful memories you are about to make. Bon Voyage!